Liverpool haven’t taken the field in the last fortnight and Roberto Firmino seems to be making the most of it. 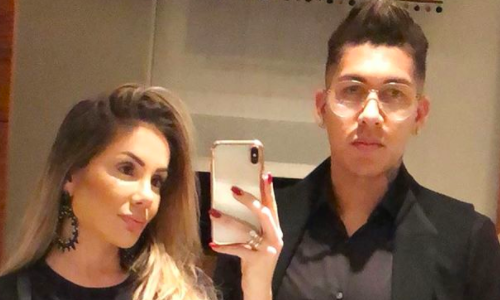 The Reds forward enjoyed a date night with his wife Larissa Pereira on Thursday as he took to his official Instagram account to share a couple of pictures. “My Love,” he simply captioned the image to his 3 million followers. Firmino looked dapper in all black attire: donning a black coat over a shirt of the same colour. However, what stood out was the big pair of specs he wore. Pereira too looked gorgeous as ever, sporting a black-gray combination. Meanwhile, the 26-year-old is expected to be back on field for Liverpool’s Premier League tie against West Ham United on Saturday. An outright win will see Liverpool surpass Manchester United to take the second position in the standings. West Ham, on the other hand, are currently placed 12th in the table.